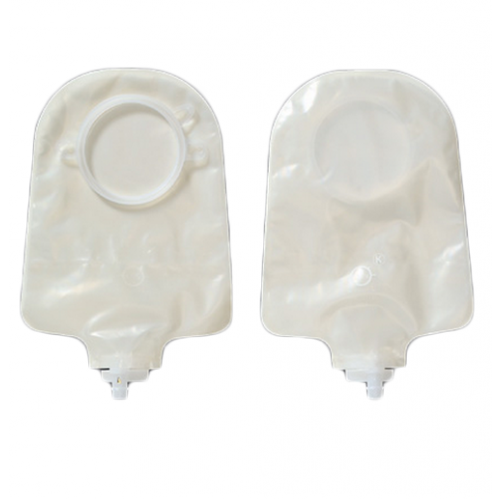 CenterPointLock Urostomy Pouch is a discreet urostomy pouch that features an exclusive CenterPointLock feature that completely assures a secure attachment of the pouch to the skin barrier. This specialized CenterPointLock feature prevents unintentional separation of the pouch from the skin barrier, resulting in a more confident experience for users as they go about daily activities. 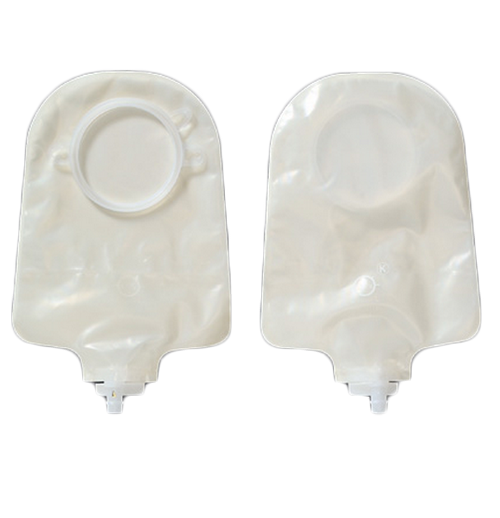 CenterPointLock Urostomy Pouch is designed to instill both security and confidence in the wearer via non-reflux valves and a drain valve that allows for regulation of flow rate. With four layers of odor-barrier, this urostomy pouch is the ideal rustle-free pouch for anyone seeking a soft, silent and odor-free experience. You may also be interested in similar urostomy pouch products, such as Assura Non Convex Urostomy Pouch. Internal non-reflux valves and drain valve allow for complete regulation of flow rate. CenterPointLock feature prevents the pouch from unintentionally separating from the skin barrier throughout the day. A four layer odor-barrier and rustle-free film create a pouch that's simultaneously soft, silent and comfortable. Plastic belt tabs permit for easy attachment of a belt to the pouch for additional security.